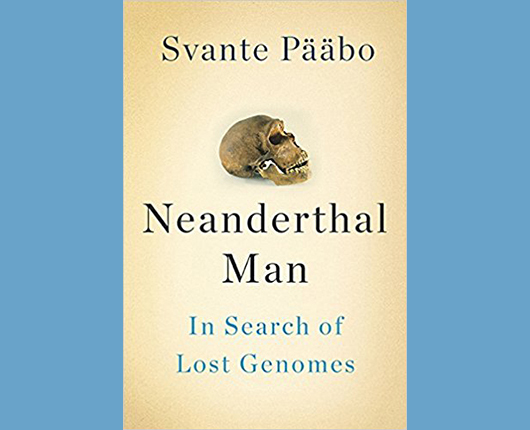 Svante Pääbo’s 2014 book Neanderthal Man exemplifies the intersection of science and the humanities. Pääbo is one of the world’s leading evolutionary geneticists, and one of the founders of the field of paleogenetics. As the title of his book implies, he is most famous for heading the team that discovered the Neanderthal genome, ultimately demonstrating that modern humans owe at least a small percentage of their DNA to Neanderthal ancestors who interbred with the populations of modern humans moving out of Africa around 200,000 years ago. This book, however, is not a science text. It is, rather, a moving memoir of Pääbo’s professional career, and it speaks to the question that drives Pääbo and also IHH: what does it mean to be human? He takes the reader from his time as a graduate student fascinated with discovering DNA from ancient humans through the work to develop the technology necessary to map the Neanderthal genome from degraded bone fragments to his team’s ground-breaking publication of that genome. Pääbo’s audience is anyone with an interest in where we came from. Despite my limited knowledge of such subjects as mitochondrial v. nuclear DNA, I found myself entranced by the journey of Pääbo and his associates. Ultimately, the message I take away from this book is that diversity is at the heart of what it means to be human. Review by Beth Hubble, Co-Chair, IHH Board; and director of the University of Montana Women, Gender, and Sexuality Studies Program.